If you are a Small Fry reader, old or new, you have undoubtedly seen a film or two we have made over the years. Some of our very favorites are the interviews we have filmed with kiddos about Love for Valentines day and about their Mothers, for Mothers Day. Our next film is underway and we are starting the casting process. If your little ones have big personalities, and love to talk, we want them! 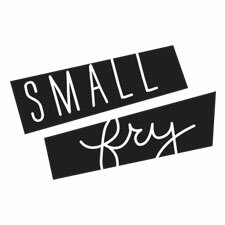 Email hello@smallfryblog.com and write Casting Call in the subject line. Please include a short line or two about your child’s personality, their age and gender, and a current photo! We will choose the cast on Friday April 21. We want to represent diversity and all walks of life so don’t be shy! We cant wait! Thanks for reading Small Fry and participating in our films.